Microsoft is planning to release a mobile app for IT administrators who want information on the health of their companies' Office 365 accounts. 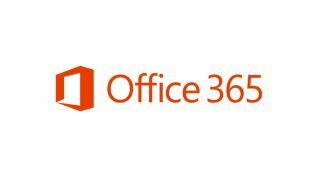 The plan is mentioned in an Office 365 blogpost that flags 'uptime' figures in excess of 99.9% for Office 365, and says Microsoft will publish quarterly figures on the availability of the cloud version of the software. It provides little detail on the mobile app, but Microsoft says it is part of an effort to help IT admins stay in touch with the performance of the service. Last week it launched the Message Centre hub for service communications, tenant reporting and required actions. While comments below the post welcome the move, there are grumbles that information on availability is only there for admins rather than all users on an account. Check out our review of Office 365. The blogpost says the uptime figures – based on the number of minutes the service is available in a calendar month then averaged over a quarter – have all hit at least 99.94% for each of the past four quarters. Microsoft is keen to publicise the figures as showing it is fulfilling its service level agreement for Office 365. The figures include Exchange, SharePoint, Lync and Office Web Apps and take in the business, government and education services, but not consumer services. Office 365 ProPlus is also left out as it largely runs on users' devices. Microsoft says that in future the figures will be made public on its Office 365 Trust Center.